the-shoebarn has no other items for sale. 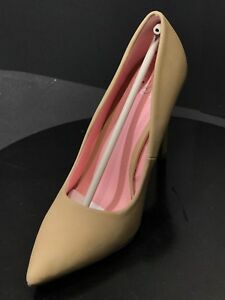 Style: Pumps, Classics UK Shoe Size (Women's): ..
Heel Height: Very High Heel (4 1/2 in or More) Toe Style: ..
Material: Faux Leather, Synthetic, .. Features: ..